I first stood up on a 10′ Dewey Weber Performer at five years old, during the summer of 1965 in Seaside Park, NJ. Since then, surfing has been ingrained in my soul indelibly. Over the years, my passion to surf and travel has led me to another passion: learning the history of surfing and collecting vintage surfboards and surfing memorabilia. I first started collecting in the 90’s. While smoking out old boards from barns, basements, and garages around the country, I would run across really good modern equipment that the owners were willing to sell. And for many years, I turned the new stuff down. Until now. And that’s how Island Trader was born! The small shop runs out of a 8000 s.f. commercial building in Stuart, FL that I manage. And in exchange for not taking a management fee, I received the small shop space as a barter. So it’s great that I don’t have to sweat the landlord! I can offer new and gently used and refurbished surfboards, skateboards, sup’s, kayaks etc, all at very affordable prices due to my low overhead and my desire to do something positive for the folks. I have a great collection of vintage surf boards on display free to the public, too. And recently, over the last few years I have grown to love stand-up paddle boarding intensely on a personal level and have decided to carry a wide range of boards and paddles to accommodate all skill levels and styles. Right now, we’re only open limited hours given the nature of the business. And true to my passion, if there is good surf, the shop might be closed while I’m catching a few good waves. So its always best to call first before you stop by: 772-631-7106. If you see a board you like here on the website, call, email or stop by the shop. We’ll get you fixed up with the surfboard you want — at a price you can afford. 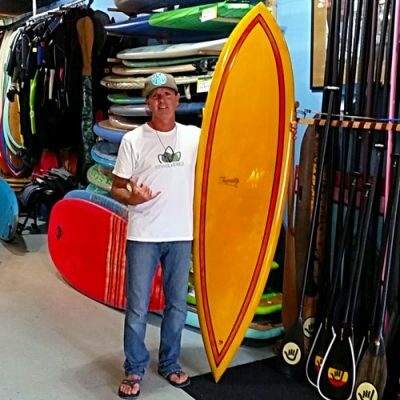 Island Trader Surf Shop is all about quality gear at an affordable price. 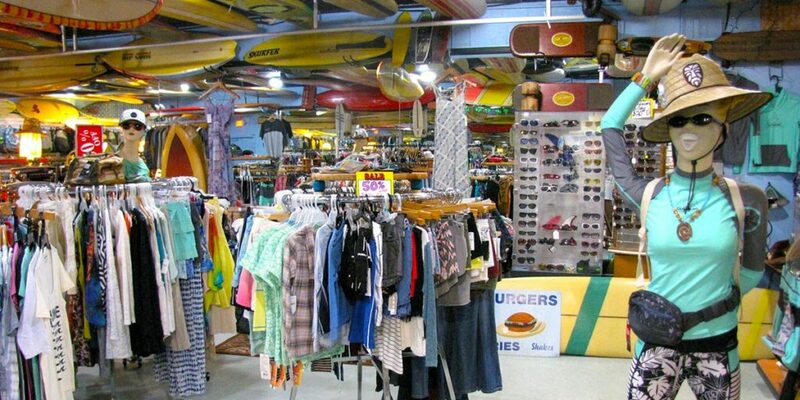 When you visit Island Trader, you’ll find boards, paddles, apparel and accessories. And it’s all pretty doggone cheap because our overhead is low and we buy a ton of used equipment. Island Trader serves all of Florida’s Treasure Coast. We’re located on Hutchinson Island in Stuart, FL, which puts the shop in a perfect location for surfers in Fort Pierce, Jensen Beach, Port St. Lucie, Hobe Sound, Palm City, Port Solerno, Jupiter, Juno Beach, Tequesta, and Jupiter Island. The shop is just a skip across the road to Stuart Beach, so you can be surfing the Atlantic minutes after your visit. Interested in vintage surfboards? Then you have to stop by the shop! We have a vintage board museum you can check out — for FREE! We also buy, sell and trade vintage surf gear! Looking for a board or watersports toy that is hard to find? Zap us an email and tell us what you’re looking for and your price range, and we’ll give you a call when we locate it.